Thank You @gator33 & @Sextus , I received my mount yesterday , it looks awesome !!! great coordination. gator33 and MSOGDAWG like this. That DBAL is the reason I wanted an adaptor for my MARK 23. I really like the minimalist nature of this design. 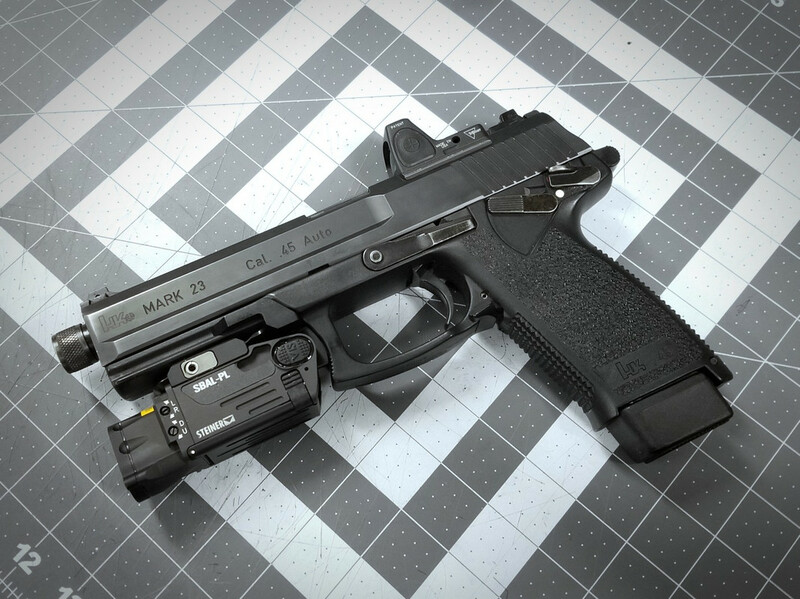 The light hangs tight to the frame of the gun and the rail portion of the adaptor does not overwhelm. This really is why I wished Surefire made their prototype. <!-- END TEMPLATE: dbtech_usertag_mention --> during our R&D we used a X300U-B. I don't have an X400 on hand, but I'm dying to know how this mount runs with a laser. Its probably worth noting that I brought the wrong size torx key today. So unfortunately I couldn't zero the laser and run my course. It was somewhat close at 10 yards,but it prints low and right. Here's a few runs with your mount and a PL-2 RL taken straight off my USP. 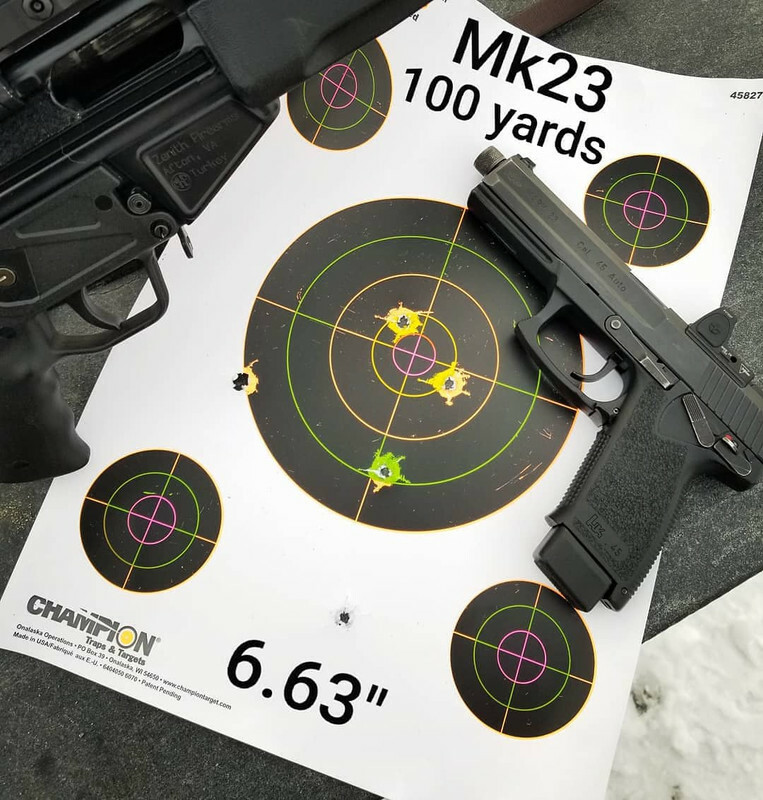 I'll post a proper range report when I get it zeroed. Thanks again for making this happen! Fantastic video! Thank you so much, I look forward to the full range report. I'd like to know if it holds zero with the laser after 1000+ rounds. Please keep me in the loop my friend. How do you like the MRDS? gator33 and chuckster62 like this. Has everyone gotten their adapter? I have NOT! Tracking still shows in FL, @gator33 , was it sent priority? And insured?